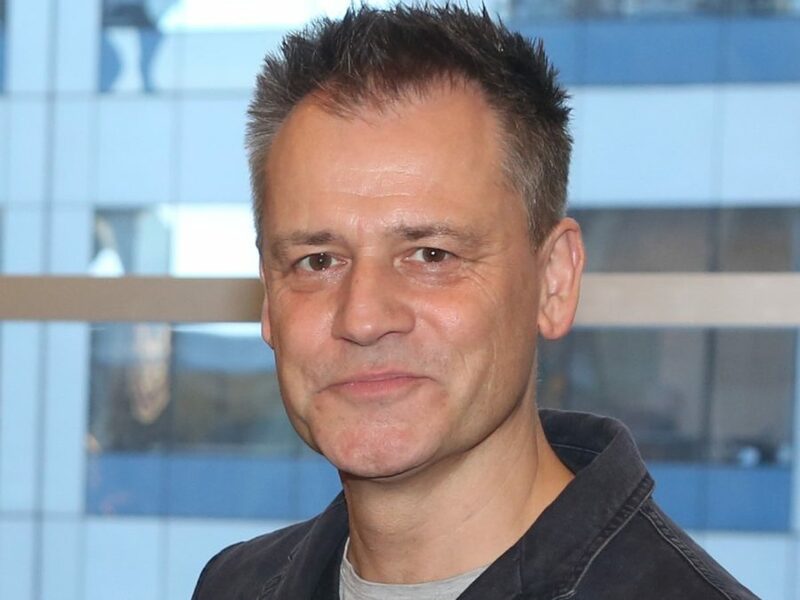 Stage and screen director Michael Grandage will bring the oldest established permanent floating crap game in New York to Hollywood. The Tony winner has been tapped to helm 20th Century Fox’s long-awaited remake of Guys and Dolls, according to Deadline. Grandage helmed the 2005 West End revival of the Frank Loesser musical; the cast featured Ewan McGregor, Douglas Hodge, Jane Krakowski and Jenna Russell. He won a Tony in 2010 for directing Red; his additional Broadway credits include Hughie, The Cripple of Inishmaan, Evita, Hamlet, The Philanthropist, Mary Stuart and Frost/Nixon. He directed the upcoming feature film Genius, starring Colin Firth, Jude Law, Nicole Kirdman and Laura Linney. No casting for the new remake has been announced yet, but with Telsey + Company on board, it’s very possible we’ll see plenty of Broadway talent on screen. In 2013, when Fox had first acquired the rights, it was reported that the studio was eyeing Channing Tatum and Joseph Gordon-Levitt to lead the project. Featuring a score by Loesser and a book by Jo Swerlng and Abe Burrows, Guys and Dolls tells the story of crap game runner Nathan Detroit and high-roller Sky Masterson, whose illegal game is at risk thanks to Sarah Brown and her Save-a-Soul mission and Nathan’s longtime fiancée Adelaide. The musical premiered in 1950 and has been revived on Broadway three times since. The original film version was released in 1955 and starred Marlon Brando, Frank Sinatra, Jean Simmons and original Broadway star Vivian Blaine. The current West End revival is now playing London’s Phoenix Theatre; Pitch Perfect standout Rebel Wilson will join the cast this summer.